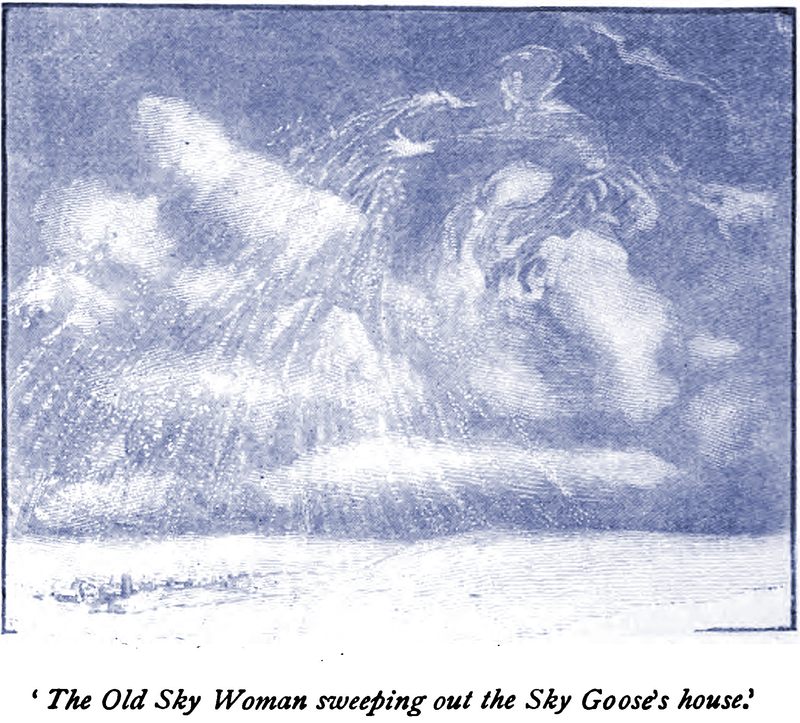 "The Old Sky Woman sweeping out the Sky Goose's house." From North Cornwall Fairies and Legends by Enys Tregarthen, 1906. An illustration from an 1860 issue of Harper's magazine. The caption reads: "I told you so."